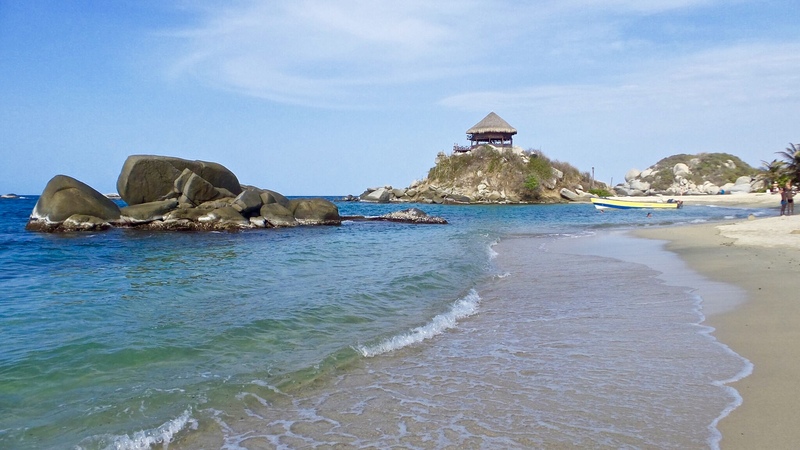 Once at the gates of Tayrona National Park, a 3-hour hike through pretty, hilly jungle, low, ground grazing arches of mangrove trees and sunlit, sandy paths is all it takes to stumble out on to perfect, fine, white sand beaches being swallowed up by gentle, gemstone blue water. Away from electricity, internet, and cell phone service, Tayrona is a place to escape to and leave the world behind. A few nights in a tent or hammock and a couple days floating off into the deepening hues of the Caribbean, with sunsets lighting the earth gold and black nights echoing the lap of the ocean. It’s all one needs for a back to basics reset.